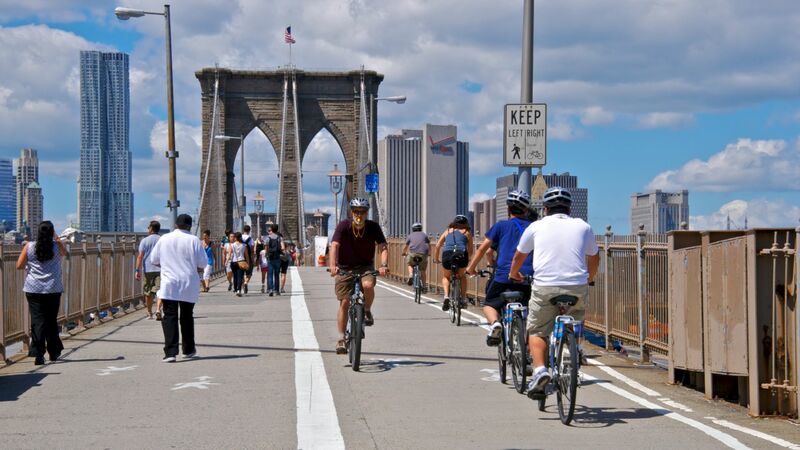 When visiting New York City, there’s no wrong way to explore the city. A walk through the seemingly endless skyscrapers is an experience of its own. 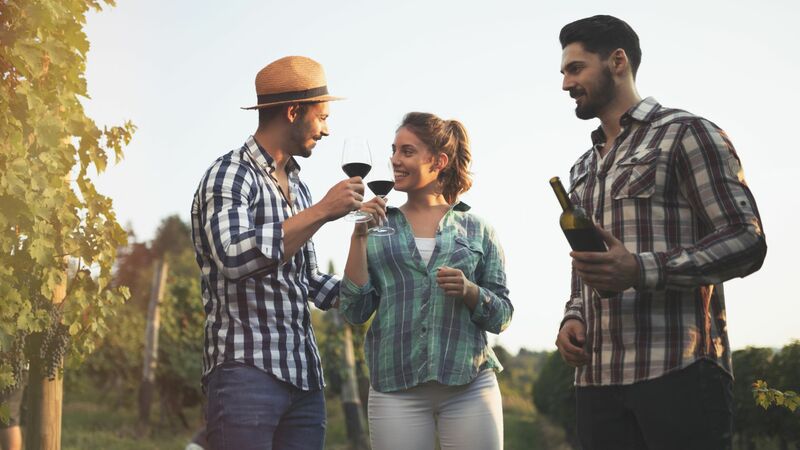 However, you can also go beyond the traditional and uncover an experience you’ll never forget. From helicopter tours to cruises around the Hudson or East River, these unique New York experiences are bound to leave you speechless. Experience the beauty of New York City from up-close. 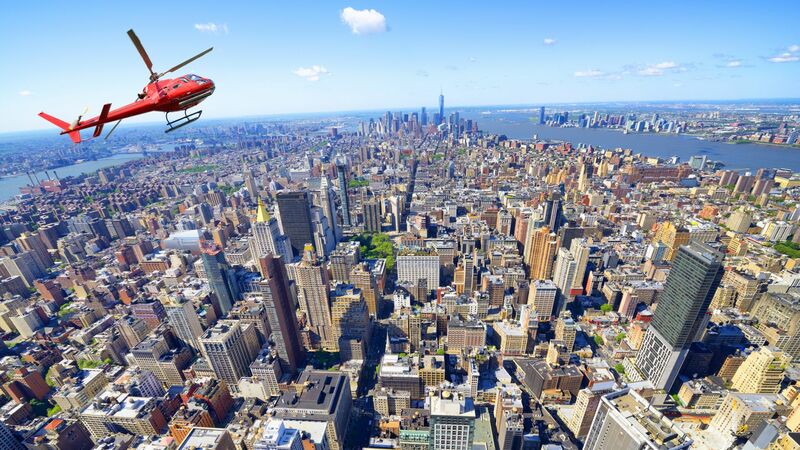 Your journey in the sky will take you around some of New York’s most recognizable sights. Take in views of the historic Brooklyn Bridge, the Statue of Liberty, South Street Seaport, Governor’s Island, and Ellis Island. Then travel further uptown for a breathtaking perspective of the Chrysler and Empire State Buildings, Chelsea Piers, Central Park, and more. Don’t miss out on these truly one-of-a-kind tours of New York City. View our tour types below. Flight time is approximately 12 – 15 minutes. Flight time is approximately 17 – 20 minutes. Flight time is approximately 25 – 30 minutes. Head out to sea when you book a day or dinner cruise around the city. Our Ravel Concierge has partnered up with one of the nicest and most popular NYC cruise yachts to bring our guests a truly unique New York experience. Choose from a variety of cruises including dinner, brunch, sightseeing, or nightlife cruises. Depending on the time of year, there are also holiday cruises available. Get in touch with our concierge team to plan your cruise and view an example offering of one of our cruises below. 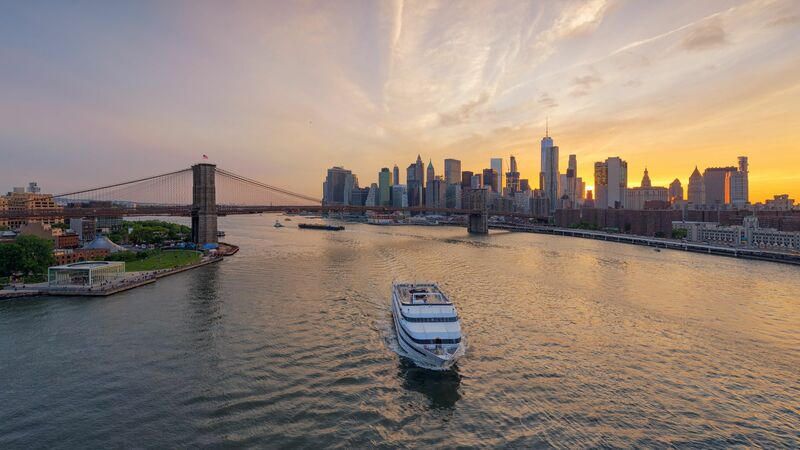 Enjoy a decadent three-course dinner cruise around the sights of Manhattan. After dinner enjoy dancing as well as a chance to view the Statue of Liberty and the iconic Manhattan skyline. Photo-ops of Statue of Liberty, Ellis Island, Brooklyn Bridge and more! If you have a group and would like to be seated together, please book your party together to ensure correct seating.